W. W. Norton & Company, 9780393712346, 320pp. 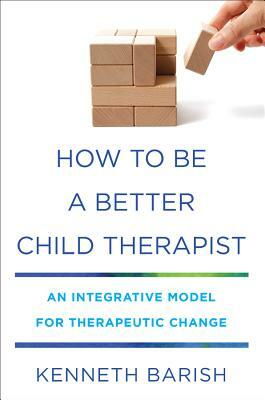 How to Be a Better Child Therapist is an innovative contribution to the theory and practice of child therapy. Drawing on several decades of experience, Kenneth Barish presents a comprehensive, multi-faceted approach to therapeutic work with children and families, based on a contemporary understanding of children's emotions and emotional needs. This book offers a new theoretical integration, an in-depth discussion of the essential processes of child therapy, and a wealth of practical recommendations to help child therapists solve the varied problems presented to us in daily clinical work. Part 1 provides a theoretical foundation. Barish demonstrates how emotional and behavioral problems of childhood are most often caused by vicious cycles of painful emotions and pathogenic family interactions. Successful therapy arrests this malignant development and sets in motion positive cycles of healthy emotional and interpersonal experiences--increased confidence and engagement in life and more affirming interactions between parents and children. Over time, children and adolescents develop a less critical inner voice and more positive expectations for their future--a new sense of what is possible in their lives. Part 2 describes 10 principles that guide our efforts toward this overarching therapeutic goal. Barish offers advice on how we can improve all aspects of clinical work with children: How can we engage more children in treatment? Why is empathy essential to children's emotional health and effective therapy? How do children learn to regulate their emotions? What is the role of play in contemporary child therapy? How can we combat a child's discouragement and self-doubt? How can we overcome children's resistance to talking about bad feelings? Part 3 presents a framework for therapeutic work with parents. Barish describes general principles for strengthening family relationships as well as practical plans for solving many common problems of their daily family life. He offers strategies for helping children who have difficulty with separations, doing homework, getting ready in the morning, or going to sleep at night; children with tantrums and uncooperativeness, rudeness and disrespect, sibling conflicts, and addiction to video games--problems for which parents, often urgently, ask our help. How to Be a Better Child Therapist is both inspiring and practical, essential reading for therapists of all theoretical orientations who work with children and families.